On Saturday, the Game Developers Conference wraps up at San Francisco’s Moscone Center. By all accounts, it’s been a very exciting week for Mac gaming. Though Nintendo, Sony, and others had physically imposing booths that dominated much of the acreage on the showroom floor, the Steam/Valve section of the floor was by far the most crowded area I saw this week. While many people want to work for the developer that created the Half-Life, Left 4 Dead, and Portal series, there’s another reason for the crowd: As people in line revealed to me, the announcement that Steam is coming to the Mac means the company needs manpower to make it happen. With such a massive undertaking underway, aspiring designers and artists figured this was a great time to apply to work for Valve. But interest in Steam is only one reason Mac gamers should be excited. As any gaming journalist will tell you, the floor is only part of the experience at GDC. The majority of my meetings with developers took place in the various hotels surrounding the Moscone Center. And while you’ll get plenty of news from these interviews, some of the bigger stories took place in the after hours parties. 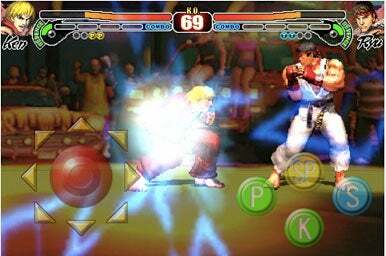 Capcom had a swanky party to launch Street Fighter IV for the iPhone. Namco held an event at a pool hall to promote its new cross platform technology and to demonstrate a new game on iMacs and iPod touches. These parties show that developers taking the Mac and iPhone seriously, and they’re investing serious money in these projects. Just a year ago, an iPhone/iPod touch game announcement would garner no more than a quick meeting and a small news item. Now publishers rent out entire nightclubs and have extravagant parties to promote their titles. As a journalist taking advantage of these clubs’ open bars, I support this change. Nowhere was the Mac platform’s rise more apparent than on Thursday evening at The Independent Games Festival Awards and Games Developer Choice Awards. The two award shows are a nerdier, techno-infused version of the Grammys or Emmys. Instead of musical acts, they have hilarious Mega64 videos. Presenters are big names in the gaming business and though no one wears tuxes, it’s still a very high-profile event if you’re a gaming developer. The Independent Games Festival Awards stylizes itself after the Sundance Film Festival. The annual awards honor the best in independent and student gaming. Many of these developers operate on a shoestring budget and have a history of offering their games for the Mac. Some, like this year’s Best Mobile Game Award winner, Spider: The Secret of Bryce Manor ( ), already appear in the App Store. That’s the only game recognized by the IGF that I’ve played this year, but I’m hoping as these games are released to the mass public, they’ll come to the Mac or iPhone/iPod touch platform I’m looking at you, Shank—based on the amazing trailer, the game is a bloody adventure/platformer game involving lots of violence (I endorse this). Shank was nominated for Excellence in Visual Art, which turned out to be an especially tough category this year. 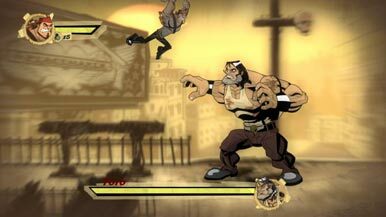 Owl Boy was also nominated in the category. Unlike Shank, Owl Boy looks more like a PG-rated platformer the likes you haven’t seen since Duck Tales. It looks old school but remarkably well-envisioned with compelling art and unique gameplay elements. Owl Boy ended up losing out to Limbo in the Visual Art category. Limbo, by PlayDead, uses light and silhouettes to achieve a unique visual style and sense of quiet fear throughout. I’ve never seen anything quite like it. 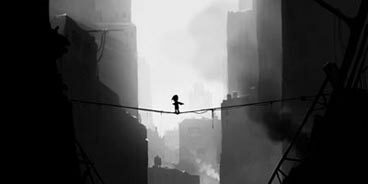 Not surprisingly, Limbo also won the Technical Excellence award. Though not a winner, Rocketbirds: Revolution! had the most exciting clip of any game I saw that night. Tasked with defeating the evil penguins, you play as a commando chicken codenamed Hardboiled in this action/stealth game. I’d encourage you to check out the flash demo online. I also want to give a quick shout out to Enviro Bear 2000. I’ve heard more about this game from my non-gaming friends than any other this week. 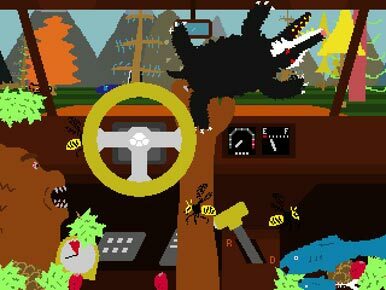 It looks completely ridiculous (the premise, from what I can tell, involves a bear driving and running over things) and I want to play it very badly. Then there’s Super Meat Boy. To quote the info page: “Super Meat Boy is a tough as nails platformer where you play as an animated cube of meat who’s trying to save his girlfriend (who happens to be made of bandages) from an evil fetus in a jar wearing a tux.” It’s weird, it’s funny, it didn’t win any awards but should have. Immediately following the IGF Award, the Game Developers Choice Awards recognized the best in gaming for the year. Games that appeared on the Mac and iPhone/iPod touch were surprisingly well represented in the nominations. Even compared to a year ago, Mac users are getting more quality games to play. Dragon Age: Origins ( ) for Mac was nominated for Best Writing and Best Audio; Plants vs. Zombies ( ) for Mac was nominated for Best Game Design, Best Downloadable Game, and the Innovation Award; Spider: The Secret of Bryce Manor was nominated for Best Debut and Best Handheld Game; and Flight Control ( ) was nominated for Best Handheld Game. These were all serious contenders to take home the hardware, and while none of them won any of the Game Developers Choice awards, you could make an argument for each of them they were deserving. Dragon Age: Origins and Plants vs. Zombies, two games that appeared on the Mac within months of their original releases on other platforms, were particularly recognized by their multiple nominations. Yes, sometimes it is an honor to be nominated. Finally, there’s Torchlight. Torchlight is a fantasy RPG that won for Best Debut and is a title that every Mac gamer should pay attention to. As stated in their blog, Runic Games are currently working on a version for Snow Leopard. If there is anything that is going to challenge Dragon Age for the coveted title of “best RPG I’ve played in the last year” it’s probably Torchlight.